White Kids, based on two years of research involving in-depth interviews with white kids and their families, is a clear-eyed and sometimes shocking account of how white kids learn about race. In doing so, this book explores questions such as, "How do white kids learn about race when they grow up in families that do not talk openly about race or acknowledge its impact?" and "What about children growing up in families with parents who consider themselves to be 'anti-racist'?" Featuring the actual voices of young, affluent white kids and what they think about race, racism, inequality, and privilege, White Kids illuminates how white racial socialization is much more dynamic, complex, and varied than previously recognized. It is a process that stretches beyond white parents' explicit conversations with their white children and includes not only the choices parents make about neighborhoods, schools, peer groups, extracurricular activities, and media, but also the choices made by the kids themselves. 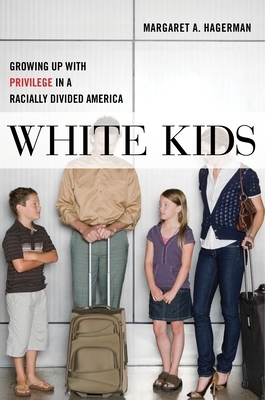 By interviewing kids who are growing up in different racial contexts--from racially segregated to meaningfully integrated and from politically progressive to conservative--this important book documents key differences in the outcomes of white racial socialization across families. And by observing families in their everyday lives, this book explores the extent to which white families, even those with anti-racist intentions, reproduce and reinforce the forms of inequality they say they reject.